In our very small and limited research among composers who dedicated their attention and works to the First World War, it seems that a kind of "British wave" is somehow slowly emerging. This means that in that island we detect some prominent cases but of course this does not mean that the history of First World War in music is all there. And after the "Pastoral Symphony" by Ralph Vaughan Williams, today we share with our readers the case of John Foulds, author of "A World Requiem" (also known as Op. 60, according to the sequence of his compositions) a symphonic work crowded with soloists and choirs. This work was conceived in the years 1919-1921 immediately after the end of the Great War and ideally combines the memory the dead of the all the belligerent countries and the deep liturgical sense of all requiems. 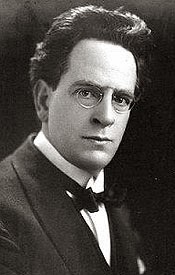 Foulds’ War Requiem is based on texts from the Bible, from the Christian writer and preacher John Bunyam and from the mystic Indian poet and saint Kabīr. An interesting article on this work was released by The Independent (you can find it here). The performance we listened to is the one issued by Chandos Recordings in 2008, ninety years after the end of the war. Today it seems that a huge work of knowledge around the music of and on WWI is strongly required. We are not still able to see something significant around. If you disagree with this impression and you know something that is worth a recommendation, don’t forget to share it with us like some of you are already doing on Twitter. In the meanwhile, we can count also on Youtube to listen part of this work of John Foulds.